A healthy level of essential fatty acids has been linked to a number of health benefits. Now a new study, conducted by Antonina I. Frovola and colleagues, suggests that the ratio of specific fatty acid combinations could boost the success of in vitro fertilization. 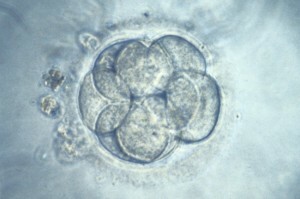 The study investigated the relationship between serum levels of polyunsaturated fatty acids (PUFAs) and embryo implantation success in women that were receiving IVF. Fasting serum levels were taken from 200 women in the Women and Infants Health Specimen Consortium. Levels measured included linoleic acid (LA), alpha-linoleic acid (ALA), eicosapentaenoic acid (EPA), arachidonic acid (AA), and docosahexaenoic acid (DHA). Women were then divided into two groups: those that conceived and those that did not. Standard regression was used to determine if any one PUFA serum was associated with achieved pregnancy. Relationships between omega-6 and omega-3 rations (LA:ALA) and (AA:EPA) were also analyzed to determine odds of pregnancy success. Although researchers did not find any associations between single PUFA levels and successful pregnancy, they did find a significant difference in pregnancy rates among women that had higher levels of specific PUFA combinations. Women with the highest levels of LA:ALA ratios (14.5) were the most likely to achieve pregnancy, and women with the lowest levels of LA:ALA (13.8) ratios were the least likely to experience pregnancy success (odds ratio, 2.4). No association was found between higher pregnancy odds and AA:EPA ratios. However, AA:EPA ratios positively correlated with the LA:ALA ratios (r=0.4, P less than .001). “Our findings are significant, as they suggest dietary intake of specific PUFAs may be altered to benefit women undergoing IVF. Specifically, the study suggests that omega-3 and omega-6 PUFAs may have opposing effects in the endometrium, similar to other tissues,” Frovola told OBGYNNews. Currently, measurement PUFAs levels is not included in the standard assisted reproductive technology practice. But Frovola says that the study should not be used to change clinical practice, at least not yet. Dr. Vasiliki A. Moragianni, a reproductive endocrinologist at Beth Israel Deaconess Medical Center in Boston, who moderated the session, acknowledged Frovola’s warning. She added, however, that the study “certainly adds a valuable piece of information and can be used as a springboard for more targeted investigations” Moragianni said in an interview with OBGYNNews.